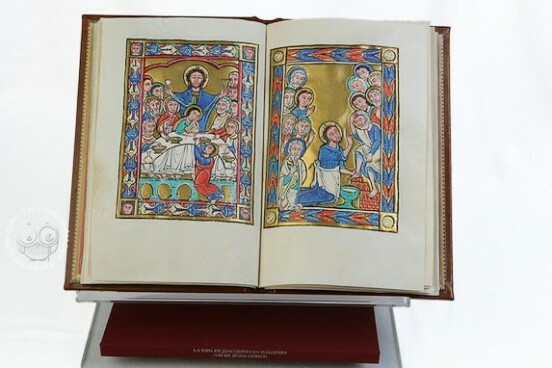 Unique codex in its genre, only pictures of the life of Christ Images similar to the oldest stained glass windows of Chartres Cathedral. Manuscript book on parchment − 34 × 20 cm − 32 pp. 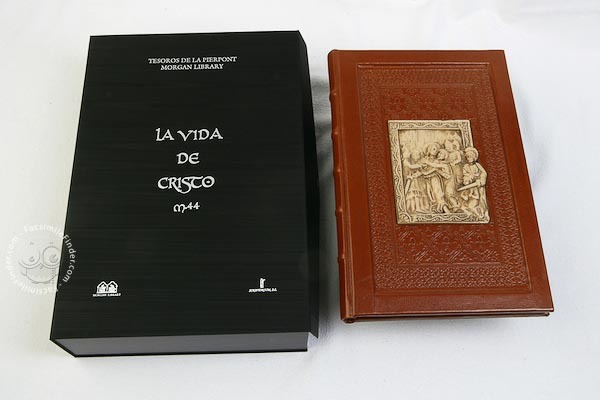 Full-size color reproduction of the entire original document, Life of Christ: the facsimile attempts to replicate the look-and-feel and physical features of the original document; pages are trimmed according to the original format; the binding might not be consistent with the current document binding. First and unique edition produced on natural lambskin parchment. Issued in a case.